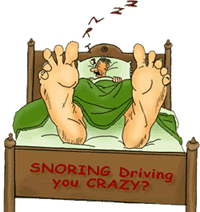 Is your partner’s snoring driving you crazy? Fully mouldable and totally re-useable, our earplugs fit snugly into the ear canal and block out the sound of snoring – however loud. They are ideal to sleep in because they are so comfortable that you won’t even know they are there. They won’t fall out while you are sleeping either! Imported from the USA our ear plugs are made from all natural ingredients. Made from the Purest Beeswax, Sterile Cotton and Purified Lanolin, this moldable earplug has a soft texture like “dough” and forms exactly to your ear canal each time as you insert it, to give you a Personal Custom Fit. They are unobtrusive and easy to wear night and day. YOU WILL SLEEP IN PEACEFUL SILENCE! Block out Snoring PLUS noise of traffic, noisy neighbors and barking dogs. We all are acquainted with how annoying snoring can be, both for the snorer and the partner. The effects and seriousness of snoring are getting more apparent with snoring being associated to conditions like high blood pressure and heart disease. The different types of snoring ranges from a simple puffing to a full on roar! Sometimes the snoring is so loud that the partner who sleeps beside the snorer is unable to ignore the noise and sleep is often impaired. There are various products that are available in the market that aim at providing relief to the snorer. There are chin up strips, mouth guard, anti snoring pillows and even anti snoring tablets are available in the market for the snorer. BUT many snorers do not accept the fact that they snore. Hence the one who suffers is the one who sleeps beside the snorer. One of the best *SOLUTIONS* is using earplugs for snoring. 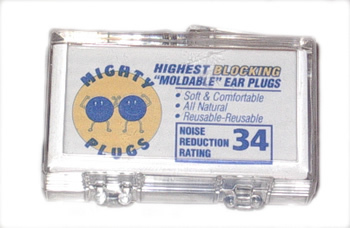 Earplugs for snoring are a simple solution obstructing noise rather than trying to prevent it. MIGHTY Earplugs have the capability to block sound up to as high as 34db. They are absolutely safe when used correctly. Even if the snoring is very loud of about 85db and the bones in your head will conduct sound to the inner ear, it will be reduced to about 60db. That means you would only hear sound at about the volume of a normal voice during the most intense snoring, but softer snoring would be reduced a very quiet whisper. In many cases, that much reduction will be enough to allow you to sleep soundly. Why not buy some as a GIFT online here in our earplug shop? Ok I will check it out. Thank you for your comments!